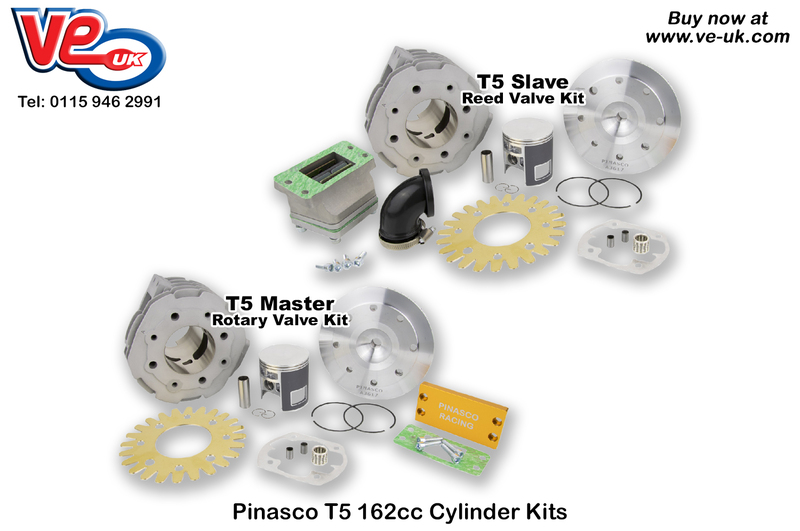 The cylinder kits for the T5 are manufactured from a Nikasil coated aluminium, with revised port timing, larger dual boosted exhaust port, and a centre plug cylinder head with centring dowels for perfect alignment. Available in two distinct configurations, “Master” with traditional rotary valve induction, or the “Slave” for reed valve induction, both cylinders offer significant performance increases. This entry was posted in Pinasco Performance. Bookmark this page.